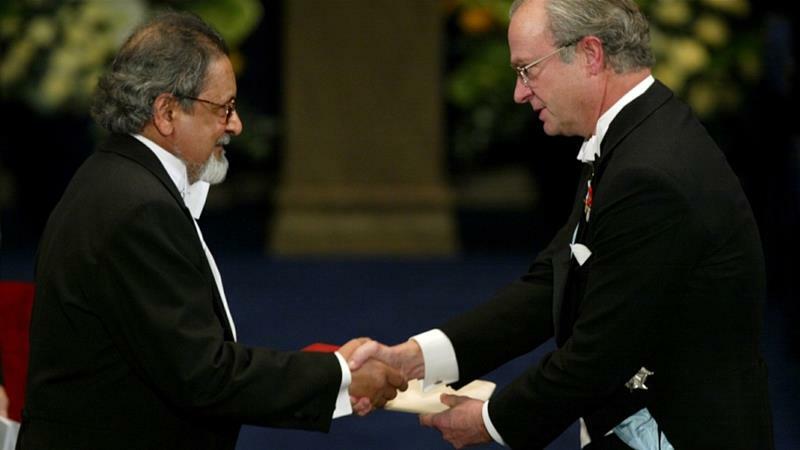 Naipaul personified what European colonialism, racist to the very core of its logic, had done to his and to our world. VS Naipaul has died. VS Naipaul was a cruel man. The cruelty of colonialism was written all over him – body and soul. VS Naipaul was a scarred man. He was the darkest dungeons of colonialism incarnate: self-punishing, self-loathing, world-loathing, full of nastiness and fury. Derek Walcott famously said of Naipaul that he commanded a beautiful prose “scarred by scrofula”. That scrofula was colonialism. Vidiadhar Surajprasad Naipaul had abbreviated his history to palatable capitalised initials the British could pronounce. He was born in rural Trinidad in 1932, where the British had ruled since 1797, adding Tobago to it in 1814. By 1889 the two colonies were combined and Indian labourers – of whom Naipaul was a descendant – were brought in to toil on sugar plantations. He was born to this colonial history and all its postcolonial consequences. By 1950 Naipaul was at Oxford on a government scholarship, just as the supreme racist Sir Winston Churchill was to start his second term as prime minister. Can you fathom an 18-year old Indian boy from Trinidad at Oxford in Churchill’s England? You might as well be a Muslim Mexican bellboy at Trump Tower. In a famous passage the late Edward Said wrote of Naipaul: “The most attractive and immoral move, however, has been Naipaul’s, who has allowed himself quite consciously to be turned into a witness for the Western prosecution.” This alas was far worse than mere careerism. Naipaul was, at his best and his worst, a witness for the Western prosecution. He did not fake it. He was the make of it. Naipaul personified what European colonialism, racist to the very core of its logic, had done to his and to our world. He basked in what the rest of us loathe and defy. He made of his obsequious submission to colonialism a towering writing career. He was Aime Cesaire, Frantz Fanon, James Baldwin, CLR James and Edward Said gone bad. In them we see defiance of the cruel colonial fate. In him we see someone bathing naked in that history. In them we see the beauty of revolt, in him the ugliness of impersonating colonial cruelty. This entry was posted on Wednesday, August 15th, 2018 at 00:05	and is filed under Uncategorized. You can follow any responses to this entry through the RSS 2.0 feed. Both comments and pings are currently closed.